Brady Williams, star of TLC’s My Five Wives, claims he is both a polygamist and a feminist. 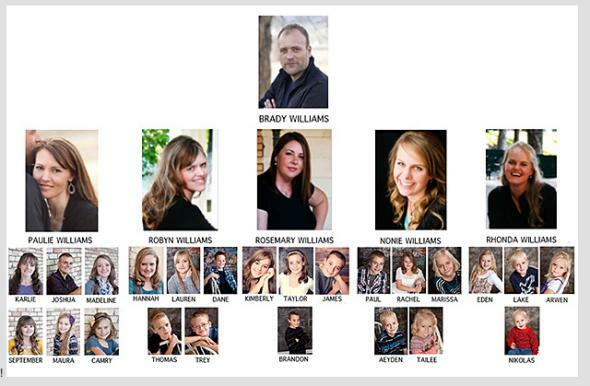 Brady Williams Has Five Wives. Also Says He’s a Feminist. To be fair, it does seem the Williams clan used to belong to a deeply sexist church, but “they ditched their fundamentalist ways and went indie largely for the sake of the kids,” even teaching that anti-gay beliefs are wrong. One of the wives, named Nonie, went so far as to tell Natalie Dicou of the Atlantic that they would be OK with the idea of “multiple husbands,” if one wanted such a thing. However, forgive me if I retain my skepticism. It costs one nothing to say that you’re just as fine with women having multiple husbands as you are with men having multiple wives. But what would happen if one of the Mrs. Williams actually up and spirit-married another man? There’s five of these women. You can’t tell me that none of them ever looks at the empty bed she sleeps in four out of five nights a week and doesn’t wonder what it would be like to get some other man in there to warm it up for her. Saying the right thing to an Atlantic reporter is all fine and good, but I’ll buy the idea of feminist polygamy when the women start collecting husbands just as they themselves have been collected.